This morning, the cardinal outside my window flashed his vermillion and sang, “Today will be a glorious day!” The sun was shining, though we had a freeze warning two nights ago. 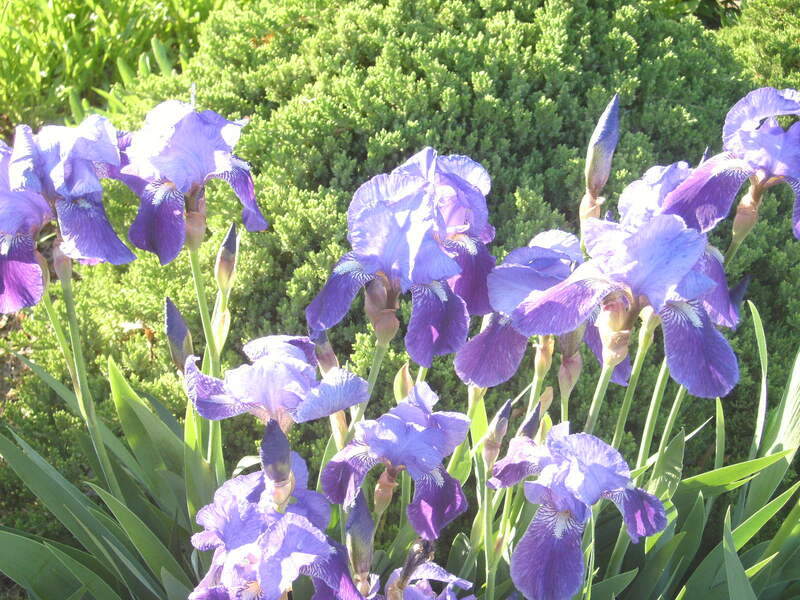 The air was sweet, filled with the fragrance of lilacs and irises in the garden outside my front door. Yes, an early thought was, It’s Mother’s Day….but the overwhelming feeling was, I get to see (and hear from) my kids and grandson today! I get to call my mom! I am truly a lucky mother. I don’t have to wait for a certain date to come along. (Sigh…it’s Mother’s day, so I’d guess I’d better call. Then Christmas. Then her birthday…Three times a year is good enough.) Don’t get me wrong. I like Mother’s Day. And the Fourth of July. And Halloween. And my birthday….fine times to just remember it is great to be alive. I am surrounded by wonderful women. I have best friends who are mothers, sisters, daughters, hoped to be soon daughters, nieces, mothers in law and spirit, colleagues, best friends, role models, mentors, some with children, some without,… all of whom should have each day to be cherished and loved by men, women, and children we cherish and love. So, I hope that each of you wakes soon to sunshine, bird song, and the intense knowledge that you are someone wonderful. P.S. For two unique views of women, I hope you enjoy my colleagues’ blogs! This entry was posted in Family, Leonard Bishop, Nostalgia, Slice of life and tagged celebrating women, Mother's Day, Raji Singh, value of women, women. Bookmark the permalink. 1 Response to Happy Mother’s Day!